What a fun way to organize your ear bud cord or other cords! 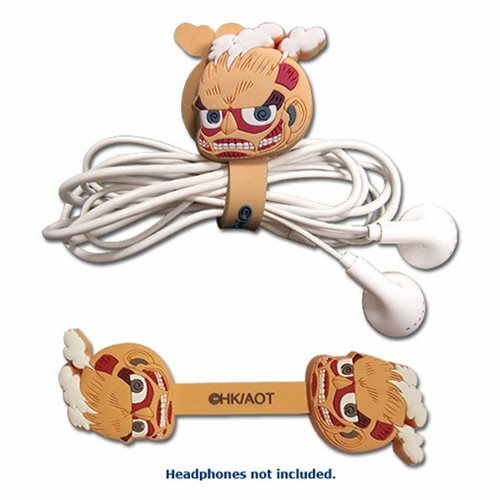 The highly stylized rendering of a Titan makes this Attack on Titan Titan Cord Organizer a great gift for fans of the anime franchise. It measures about 3 3/4-inches long x 1 1/5-inches wide. Ear buds and cords not included. Ages 15 and up.